Short-Term Neck and Back Pain Relief Care Now! Dr. Ivan Cohen provides chiropractic care with clinical excellence, in Belle Glade, Pahokee and Clewiston. Our team is here to help. Serving the Greater Glade's Communities since 1998, we pride ourselves in providing the best possible physiotherapy and chiropractic care in the Belle Glade, Clewiston, Pahokee and South Bay areas. Injury Center of the Glade's employs an integrated approach to treatment merging the conservative therapeutic modalities customary within the field of chiropractic with the more invasive procedures and techniques utilized by members of the medical profession. Utilizing both chiropractic and medical strategies, Injury Center of the Glade's is able to treat injuries of the neck, back, head and extremities. We are able to offer a broad array of therapy options to our patients including board certified neurologist and orthopedic consultations when necessary. Our facility offers transportation to and from our office and employ a multilingual staff to provide translation services for non-English speaking patients. 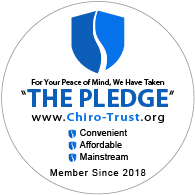 Noted as one of “America’s Top Chiropractors” by the Consumer’s Research Council of America, Dr. Cohen is the Clinic Director of The Injury Center of the Glades and an active member of the Florida Chiropractic Physicians Association, Belle Glade Chamber of Commerce, and Clewiston Chamber of Commerce. Skilled in many chiropractic techniques, Dr. Cohen is certified in AMA Impairment Rating, Physiological Therapeutics and Florida Workers Comp. His practice is dedicated to bringing you better health through careful assessments and custom therapy programs tailored to each patient’s needs.